Whether you are a recreational gold buyer, jeweler, or bulk buyer of precious metals, testing the quality of your gold is paramount in ensuring you don't overpay for your merchandise and do not fall victim to counterfeit goods. 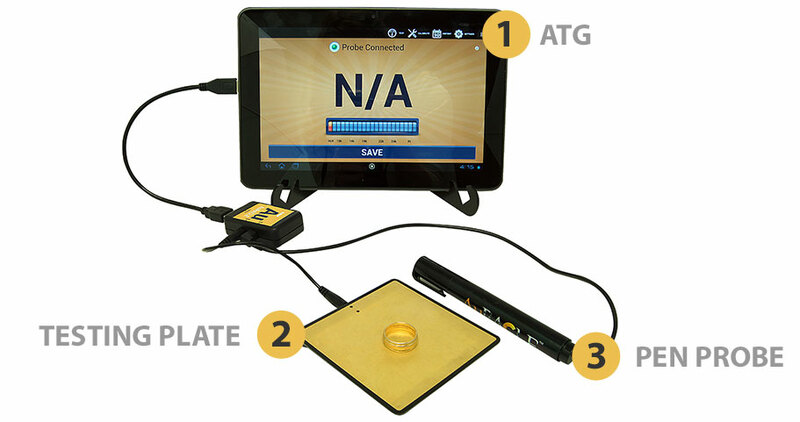 The simple task of testing the quality of gold used to be a strenuous process comprised of messy acids and tarnished jewelry, but with the onset of electronic gold testing and quality devices such as the AuRACLE Gold Tester, determining karat value is easier than ever before. The unriviled simple user interface makes the AuRACLE AGT-3 testing process simple and straightforward, ensuring that you don't lose any time while testing and closing a sale. 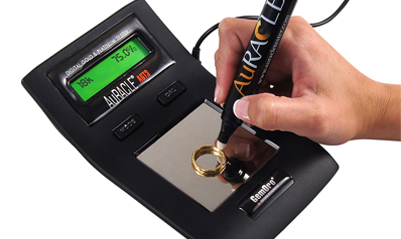 As the patent holder on conductivity based gold testing, AuRACLE has the experience, technical proficiency, and industry know-how to bring you the most effective, accurate, and reliable gold tester on the market. Don't waste your time or money with second rate products, start using AuRACLE today. The days of messy acid testing are a thing of the past. The simple three step electronic gold testing process is the new way to test the quality of your gold or platinum that is sure to keep your business thriving: calibrate, test, and buy. Avoid the mess and buy an AuRACLE Gold Tester. As a business person, transparency is critical and ensuring that you get what you pay for can mean the difference between a profit or a loss. AuRACLE Gold Testers can make sure you pay the proper price for your purchase and also that you are buying a legitimate precious metal and not a counterfeit. Copyright © 2014 AuRACLE Gold Tester. All rights reserved. Website by 215 Marketing.